The Royal Court is celebrating 60 years and has released a series of videos to commemorate the event. 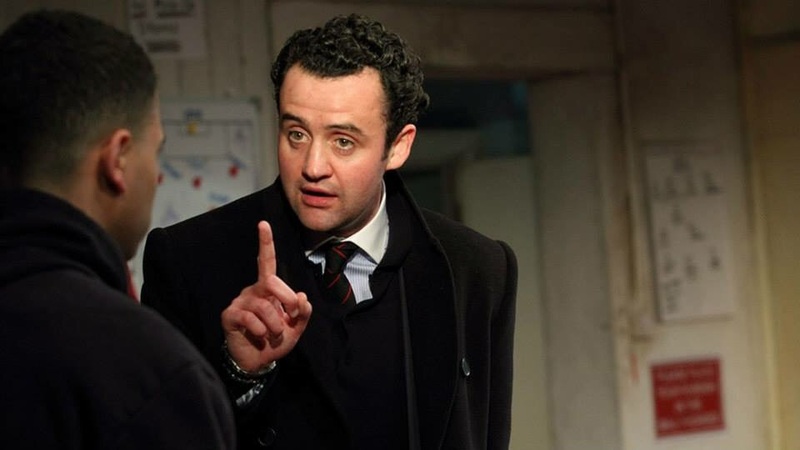 Daniel Mays has a great history with The Royal Court and has taken part in the videos. You can see him in the Who We Are (still from the play Motortown) and Memories of the Royal Court (interview at 6:40) videos at The Royal Court’s dedicated website 60 Years New or via their YouTube Channel. Daniel Mays’s theatre performances for The Royal Court include: Hero, Scarborough, Motortown, The Winterling, Ladybird, Just a Bloke, and The One with the Oven. Happy #60YearsNew to The Royal Court! The Red Lion returns to the Dorfman Theatre Thursday 18 June. Last Performance for The Red Lion is the 30 Sept matinee at 3PM. The National Theatre has released The Red Lion production photographs. Previews continue through Tuesday 9 June with press night Wednesday 10 June. 14 June: Fantastic interview with Peter Wight from The Stage. 10 June 2015 – More photos from The Red Lion press photo call at the Dorfman Theatre on 9 June 2015 (via photographer Elliott Franks). And photographer Alastair Muir. 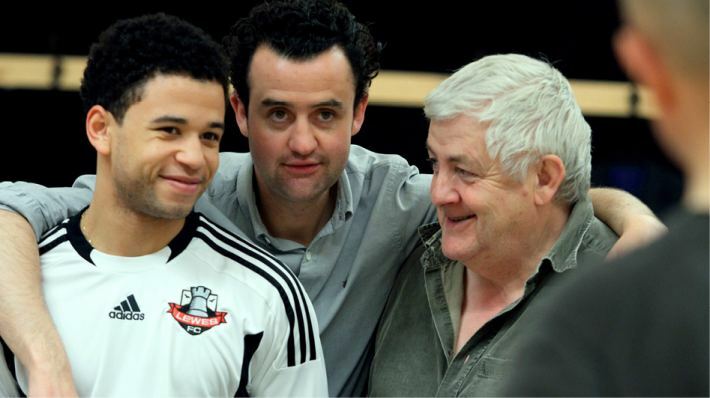 – Curtis Brown article on Daniel Mays’ National Theatre debut this evening in The Red Lion. 9 June 2015: BBC Front Row has an excellent John Wilson interview with The Red Lion’s talented playwright (and mega Lewes FC supporter) Patrick Marber. – Another great interview with Patrick Marber from ESPN FC. – Patrick Marber on ‘The Red Lion’, writer’s block, and getting fired from ‘Fifty Shades of Grey’ via The Independent. 8 June 2015: Additional production photos for The Red Lion released by The National Theatre. 5 June 2015: Time Out has a first look at The Red Lion production photos. 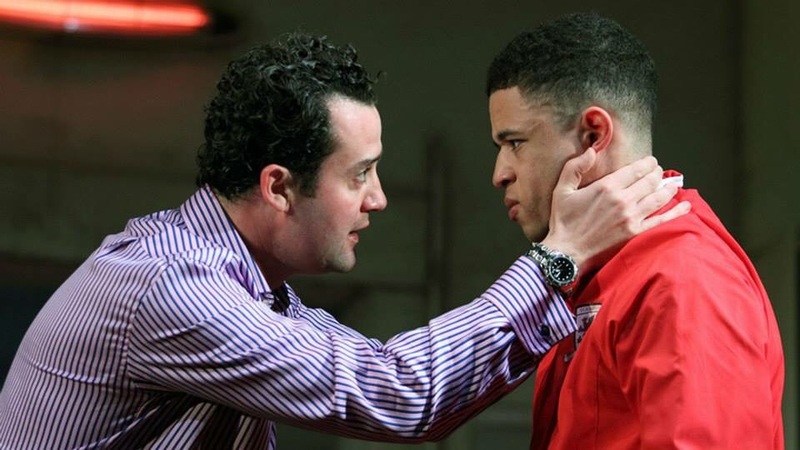 29 May 2015: Sport on stage: talk a good game Like other sporting dramas, Patrick Marber’s new play about football takes on wider resonance (login needed). The Red Lion preview performances begin Wednesday 3 June at The National Theatre. Tickets are still available for purchase for most dates across the run at the National Theatre online, in person, and via telephone booking. The Red Lion is also a part of the National Theatre’s new Friday Rush ticketing beginning this Friday, 29 May at 1PM. Front row seats priced at £20 will be available online every Friday for all performances for the following week. Please read the Friday Rush FAQ for more details. Once performances begin there will be £15 day tickets available. Press night for The Red Lion is Wednesday 10 June. Daniel Mays in his National Theatre debut! Small-time semi-pro football, the non-league. A world away from the wealth and the television cameras. A young player touched with brilliance arrives from nowhere. An ambitious manager determines to make him his own. And the old soul of the club still has dreams of glory. A haunting and humorous new play about the dying romance of the great English game – and the tender, savage love that powers it. Patrick Marber returns to premiere a fifth play at the National Theatre, where his previous work includes Dealer’s Choice and Closer. The Red Lion is now booking for performances beginning 3 June.